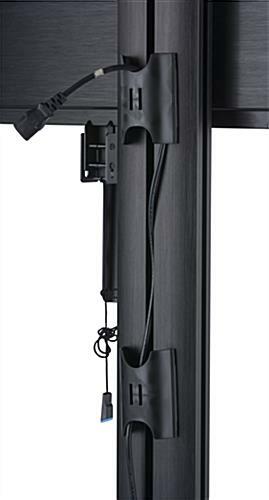 Built with a stationary base, this 110 inch TV stand is designed to safely accommodate large flat screen televisions. 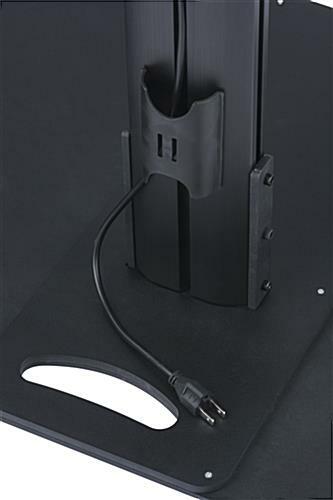 VESA compatibility enables the fixture to hold a variety of popular brand monitors in landscape orientation. 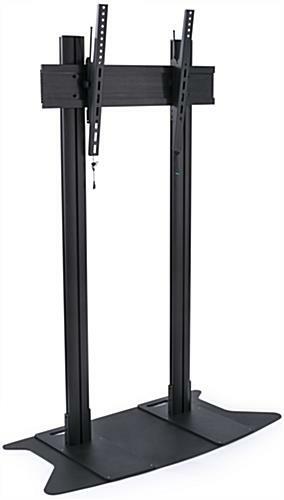 Furthermore, each tilting TV stand can be maneuvered 5° upwards or 15° downwards for a great media viewing experience based on your environment. 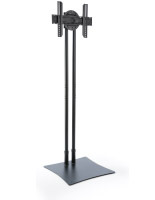 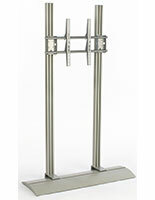 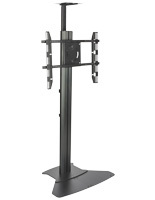 Cable management hooks are integrated into the flat screen columns to maintain an organized appearance. 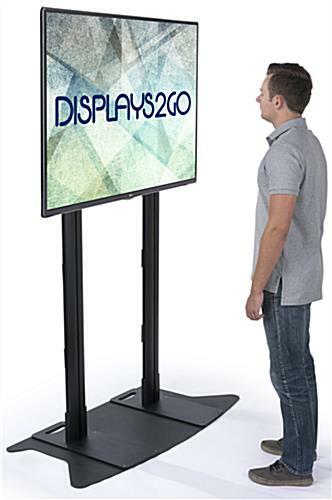 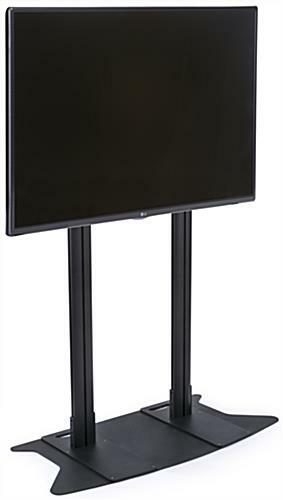 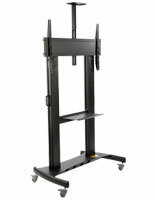 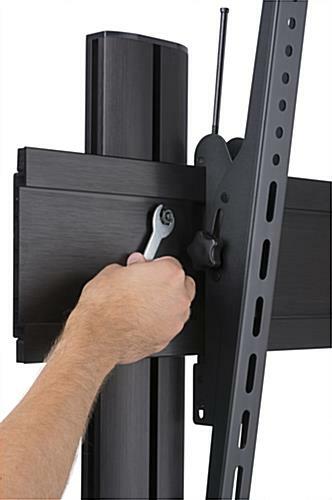 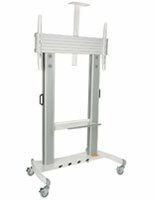 Utilize this television monitor mount to hold panels weighing up to 275lbs! 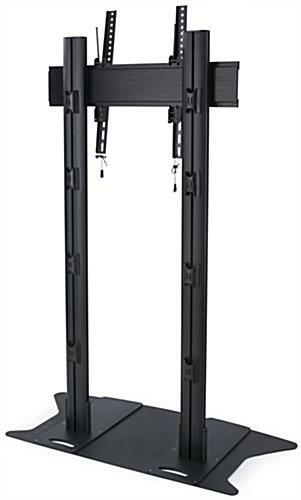 This TV stand is perfect for presenting media or information to customers in hotel lobbies, waiting areas, offices, and more. 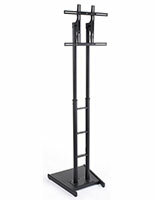 53.0" x 80.5" x 25.5"
53.0" x 0.5" x 25.5"
1.8" x 24.8" x 3.0"